Bristol, VT – One of the hottest dances around will warm up Holley Hall in Bristol on Sunday, April 6th from 1:00 - 3:30 when the One World Library Project hosts the Bristol Bollywood Bash. Henna, film clips, music, food, Indian chai tea and the lively and complex choreography of Bollywood dance will combine to make this an entertaining afternoon for individuals and families alike. Admission is free, although refreshments and henna designs are available for a nominal cost. People arriving to the Bollywood themed event at 1:00 will be able to purchase a lunch of Indian food prepared by Bristol Country Store and chai tea offered by John Wetzel of Stone Leaf Tea in Middlebury. Addison County’s Hadippa Dancers will begin performing Bollywood dance at 1:30. This lively and expressive dance form is the foundation of every great Bollywood film, but the music and movement have also become immensely popular throughout the United States. Jennifer Bruch, founder and one of the Hadippa Dancers, says they are inspired by old and new Bollywood films and always try to stay true to the original choreography when learning a dance. “Our continued passion rests in the joy of movement and the irresistible complexity and drive of the music,” says Bruch. A highlight at the Bristol Bollywood Bash will be henna artist Rebecca Freedner of Heartfire Henna Studio in Vergennes, who will be creating her special designs of this “auspicious, ancient adornment”. 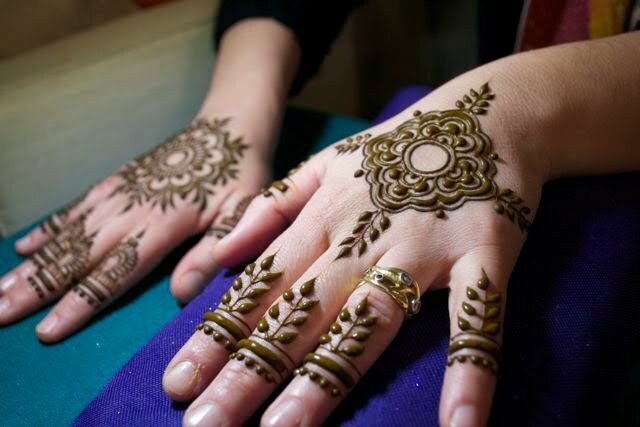 She is among several individuals who will offer henna designs throughout the event at a range of prices. Children will be able to get free henna designs created by washable markers and will also be able to try traditional Indian crafts. A number of films and books on Bollywood and the culture of India are available for the public to check out in the One World Library Project collection at the Lawrence Memorial Library in Bristol.